Central Appalachia’s coal businesses face declining reserves, higher production costs and increased competition, reports Bloomberg. The region includes eastern Kentucky and southern West Virginia as well as parts of Tennessee and Virginia. 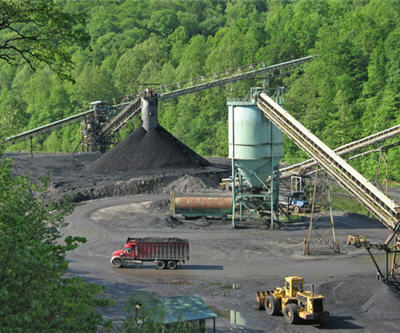 US government data indicates production in the region is projected to fall from 185 million tonnes in 2011 to 128 million tonnes by 2020 — a decline of 31%. Western states, like Wyoming, are producing more coal at cheaper prices which is increasing business competition. Government data listed the state as putting out 20% of the country's coal compared to the Appalachian region's 17% production. Many of the coal seams in easy reach have been mined out. In order to keep production up, more money needs to be spent on workers translating to higher production costs. Meanwhile, electric utilities are switching to cheaper natural gas and retiring coal-fired plants.